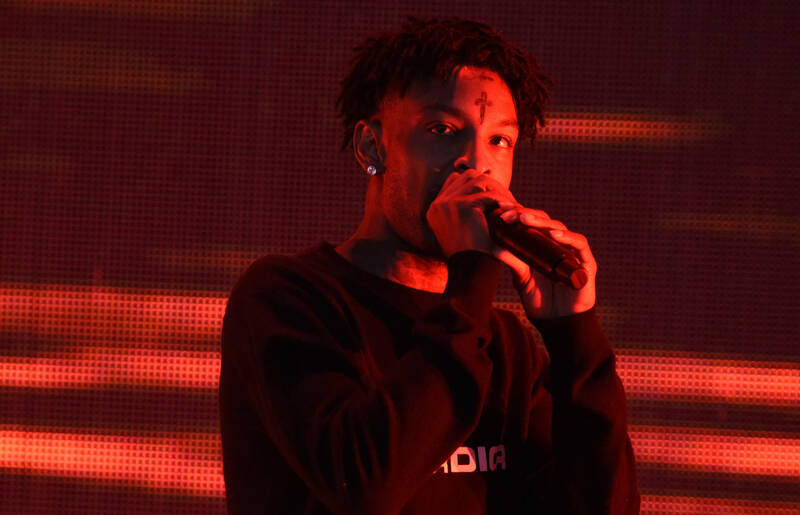 21 Savage’s recent arrest at the hands of ICE has raised a surplus of questions. 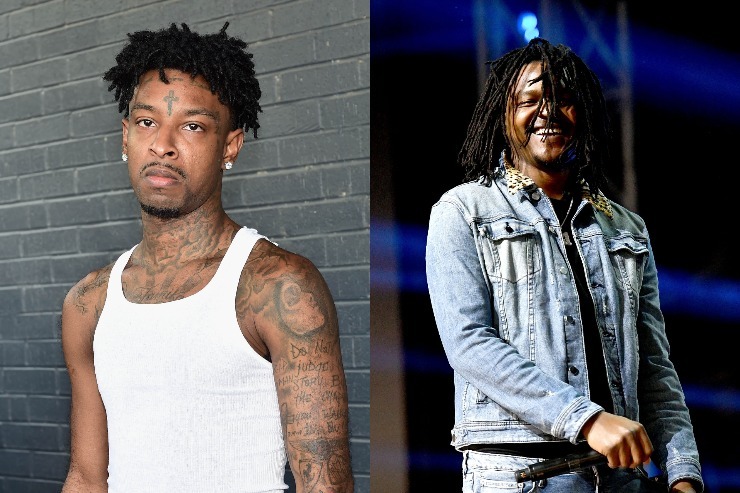 While the hip-hop community mobilizes to stand united in the #Free21Savage movement, fans are left picking up the pieces. Many have already seized the “21 is British” narrative, letting “en guarde” ad-libs and musket references fly. Others have taken a more proactive approach, contributing their signatures to an official petition. Different reports seem to circulate every hour, making it difficult to piece together an accurate timeline. For that reason, it only makes sense to assemble a comprehensive guide to 21’s ongoing legal saga. Should you be confused, concerned, or simply curious, consider taking the time to familiarize yourself. The invocation of a United Kingdom origin story soon led to an explosion of internet “wit,” in spite of the potentially serious consequences. Meanwhile, the same ICE spokesman continued to clarify what happened, explaining that 21 originally arrived on American soil in 2005 (making him approximately 12 years old), but the following year, failed to abide by the criteria of his expired VISA. ICE even proceeded to assassinate the rapper’s character, branding his entire public persona as “false.” ICE’s original statement also alludes to 21’s federal drug charge, which occurred in 2014, when the rapper was twenty-one. The strange thing is, it seems to be invoked as a catalyst for his forced departure, despite having occurred five years ago. Not to mention, the charge was since expunged from his record, though such formalities matter little to ICE. So how did ICE come to nab 21 in the first place? Contrary to early reports, it was not merely a case of “wrong place, wrong time,” nor was it in any way related to Nudy's charge. 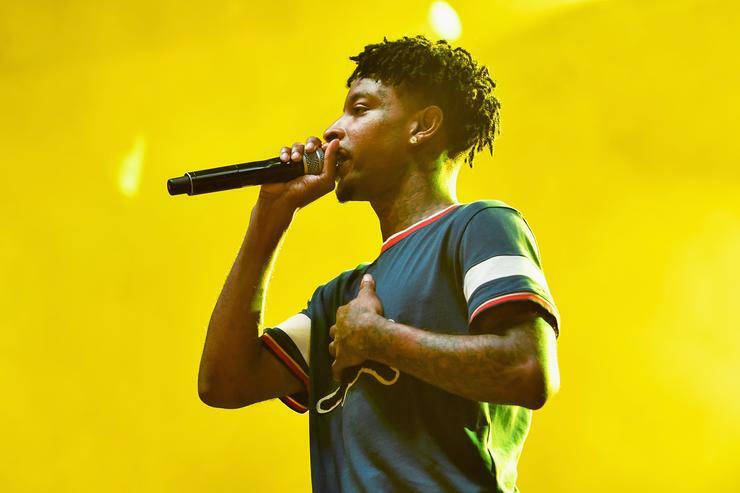 Earlier today, TMZ reported that 21 Savage actually filed for a U-Visa in 2017, which would allow him to tour outside of the United States. Of course, that means that ICE were already aware of the rapper’s status. While it has yet to be confirmed, speculation suggests that ICE ran a background check, noticed 21’s prior felony, and used it as ammunition in their campaign for deportation. Not only that, but Law Enforcement have continuously attempted to drive home the “British National” narrative, using loaded, evocative terms in what feels like every statement. Though the young star spent the majority of his life in Atlanta, a few tweets seemed to erase his entire local identity in one fell swoop. The idea that one cannot come to develop a newfound home seems decidedly at odds with America’s founding principles. Lest we forget, 2Pac himself was born in New York, and went on to emblemize the west coast. In any case, 21’s reputation as an Atlanta-bred act certainly took a hit, at least insofar as the internet was concerned. So where is 21 Savage actually from? And how did he find himself on American soil in the first place? Many have already claimed 21’s birthplace as Dominica, with XXL citing an alleged pre-fame Facebook page as a tenuous source. Yet the island of Dominica was indeed under British rule up until 1978, so the timeline doesn’t exactly line up. On February 4th, the Daily Mail cleared the air by posting a copy of 21’s birth certificate. The rapper was actually born in the London borough of Newham, the son of Heather Joseph and Kevin Emmons. It would appear that 21 and his mother eventually moved to Atlanta, leaving behind two sisters named Kyra and Jayda, who currently work as dance choreographers. In truth, it appears that 21’s origin was never truly a secret. People simply neglected to look deeper, because in reality, why would they? Yet the proof is out there. A video from last summer features his mother sharing a few words at her son’s Back To School Drive. In it, her British accent is evident, though people only began making a big deal of it in recent days. While many will likely flock to the clip as evidence of 21’s British descent, it serves a dual purpose: highlighting his contributions to the Atlanta community. Though 21’s father is officially documented as Kevin Emmons, The Breakfast Club’s Angela Yee has claimed Dr. Amsu Anpu to be the rapper’s father. At this moment, it’s difficult to assess whether Emmons actually changed his name, or if Dr. Anpu is a father figure in 21’s life. 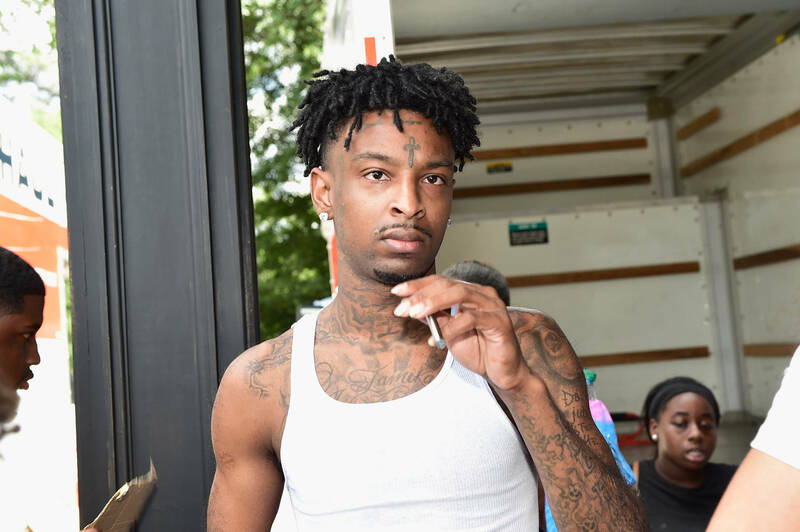 The Dr. has occasionally posted pictures of 21 Savage in a celebratory fashion, with captions that suggest a familial connection. At this time, Dr. Anpu has shared the circulating #Free21Savage petition on his Instagram page. For what it’s worth, he does, in fact, have a British accent. "ICE detained She’yaa Bin Abraham-Joseph, the well-known Atlanta based recording artist and songwriter also known as '21 Savage.' Based upon incorrect information about prior criminal charges and now refusing to release him on bond of any amount, despite the fact that he has a pending U-Visa application (as the victim of crime) with USCIS, and that he has relief from removal available to him. Mr. Abraham-Joseph has never hidden his immigration status from the U.S. government. The Department of Homeland Security has known his address and his history since his filing for the U Visa in 2017, yet they took no action against him until this past weekend. ICE can only continue to detain individuals who are a threat the community or a flight risk to not show up at their hearings. Obviously, our client is not a flight risk, as he is widely recognizable, and a prominent member of the music industry. Likewise, Mr. Abraham-Joseph’s is clearly not a danger to the community, and in fact, his contributions to local communities and schools that he grew up in are examples of the type of immigrant we want in America." Interestingly enough, Kuck’s statement suggests that ICE is employing intimidation tactics on the rapper, which coincides with another disturbing revelation. “He is in lockdown for 23hrs of the day," explains Savage's co-manager Stone Mound Meezy. "No tv or any communication besides our 10 min phone calls ... everything I’ve told him that has been happening made him happy & makes this time fly by thank y’all for the support." Such an image affirms the intimidation cited by Kuck, and we can only hope that 21 keeps a staunch resolve. After all, the people have rallied around his cause, even if ICE seems hellbent on giving him the boot. Despite the rapper’s sudden change in fortune, the entire rap game seems to have united behind him. A petition, started by Black Lives Matter activist Patrisse Khan-Cullors, has been widely circulated by 21’s collaborators, and social media has been abuzz with his fellow artists sharing thoughts, prayers, and words of encouragement. Though some might still attempt to discredit the rapper's Atlanta roots, in reality, he remains an integral member of the community. Not only did he grow up there, but he forged relationships, witnessed the death of his best friend, and developed into the man and artist he is today. In the end, losing 21 would be a blow to the entire rap game, and we can only hope this mess gets sorted out before long. 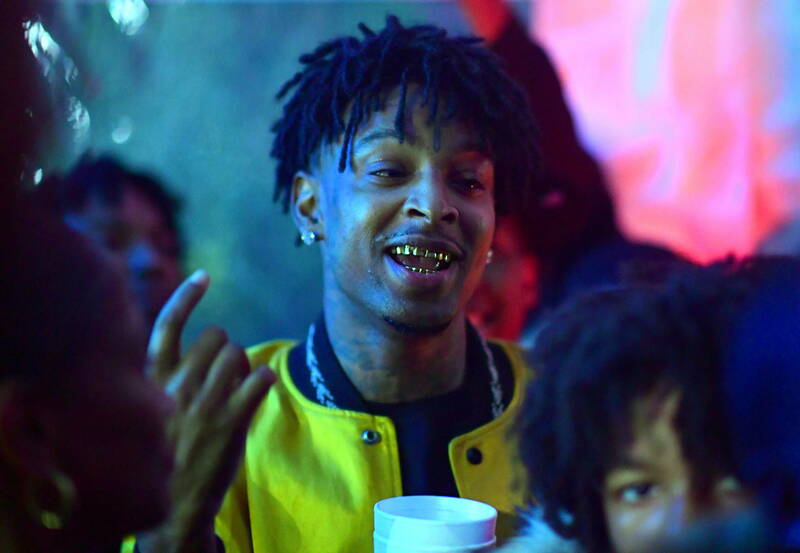 For now, it's still free 21 Savage! And lest we forget, Young Nudy!